The Saxon Commercial Vehicle Museum opened in May 2001. It was built with the help of numerous supporters, the municipality of Hartmannsdorf and sponsors. 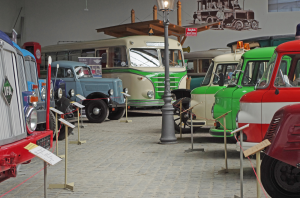 The exhibition offers an insight into German and Saxon outstanding history of commercial vehicles. 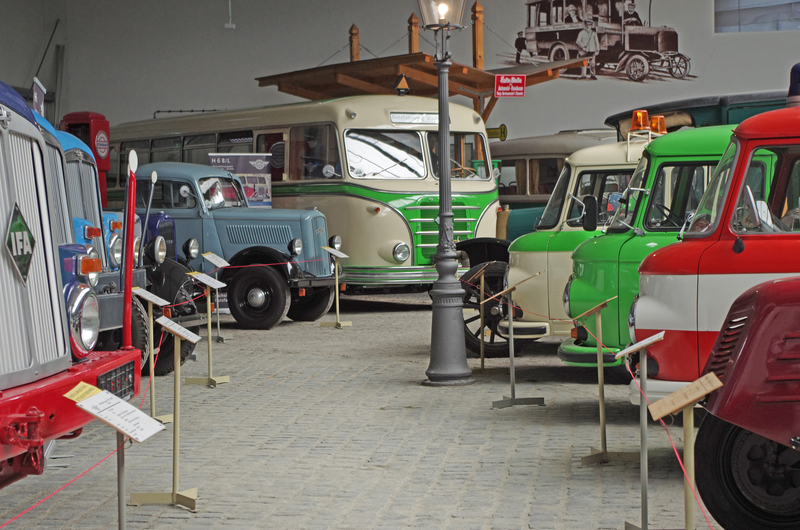 Focussing on vehicles from Saxony, the museum hosts one of the largest collections of historic commercial vehicles in Germany. At a space of 1,400 square metres, visitors can see about 50 lovingly restored and well-preserved historic commercial vehicles. Furthermore, the museum offers a collection of truck engines, a IFA S4000 cutaway model in original size and detailed information on the history of vehicle construction in Saxony. Our exhibition shows construction and transport vehicles, fire-fighting and emergency vehicles, military vehicles and buses. The Museum has an own car park. Disabled parking and access is available, assistance dogs are welcome. Guided Tours (only in German language/English upon special request) are possible after prior arrangement. The Saxon Commercial Vehicle Museum is the major project of the Historic Commercial Vehicle Club in Hartmannsdorf. The club, founded in 1995, has now about 90 members. Its objective is to collect and to restore historic commercial vehicles as well as to present them to the public. Our museum opened in May 2001 and was build with the help of numerous supporters, the municipality of Hartmannsdorf and sponsors. The exhibition offers an insight into German and Saxon outstanding history of commercial vehicles.